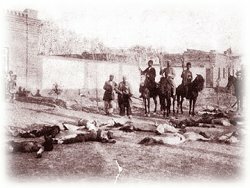 The Assyrian Tragedy, “Livre anonyme, 1934 fevrier Annemasse”, is a rare documentary on the national struggle of the Assyrian nation prior, during and after World War I. We believe the author of the book was Mar Eshai Shimun XXIII, a Cambridge University graduate and Patriarch of the Church of the East. Most of the material contained in the book were his personal letters to the various heads of governments and organizations, including their replies to the letters. 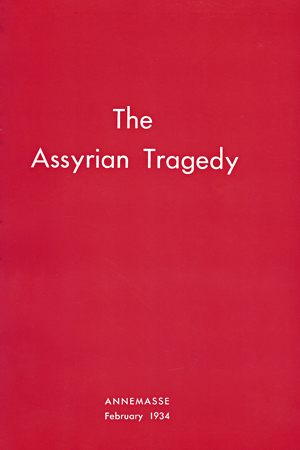 The book was reprinted in January, 1988 by Mr. Sargis Michael. The previously existing online version of “Annemasse: The Assyrian Tragedy” which was available within this document was removed by request of the Mar Shimun Memorial Foundation. To purchase this book, please visit The Mar Shimun Family Assyrian Patriarchs and History website.